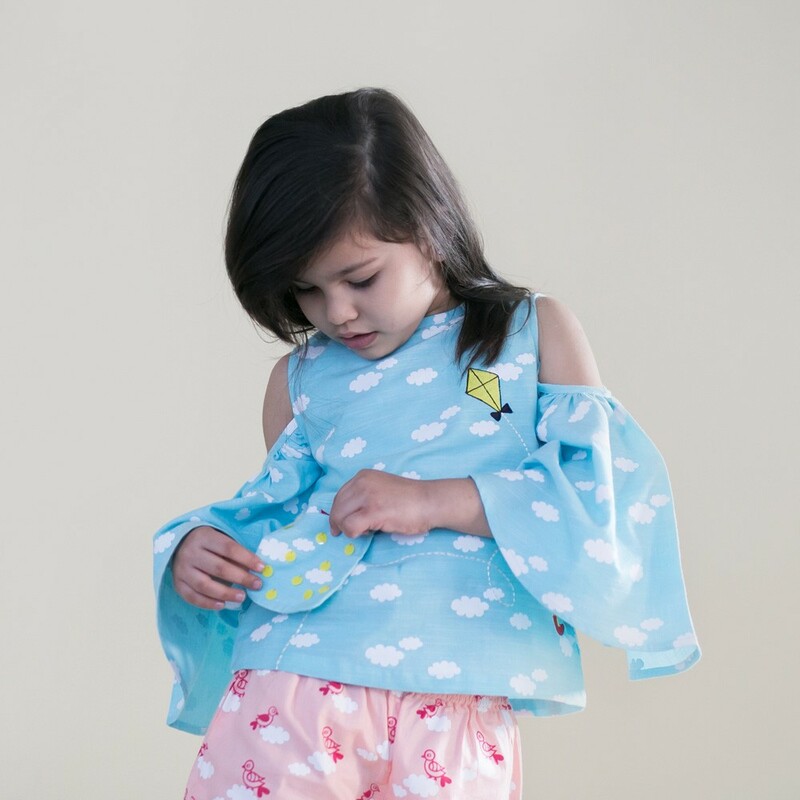 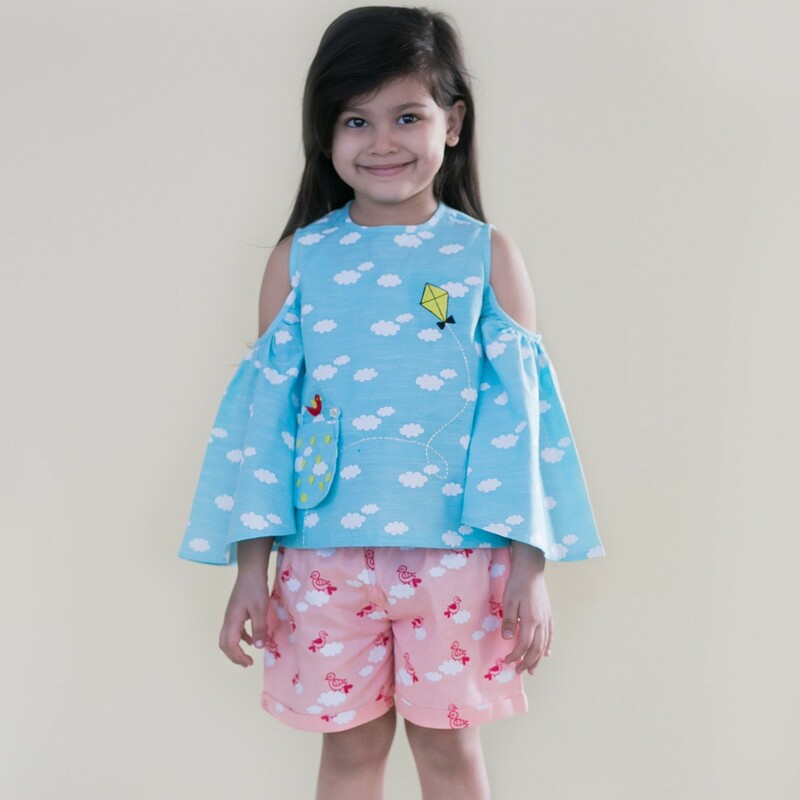 Blue Clouds Cold Shoulder Top – Your little girl shall sway around like a bird in Tiber Taber’s cold shoulder top. 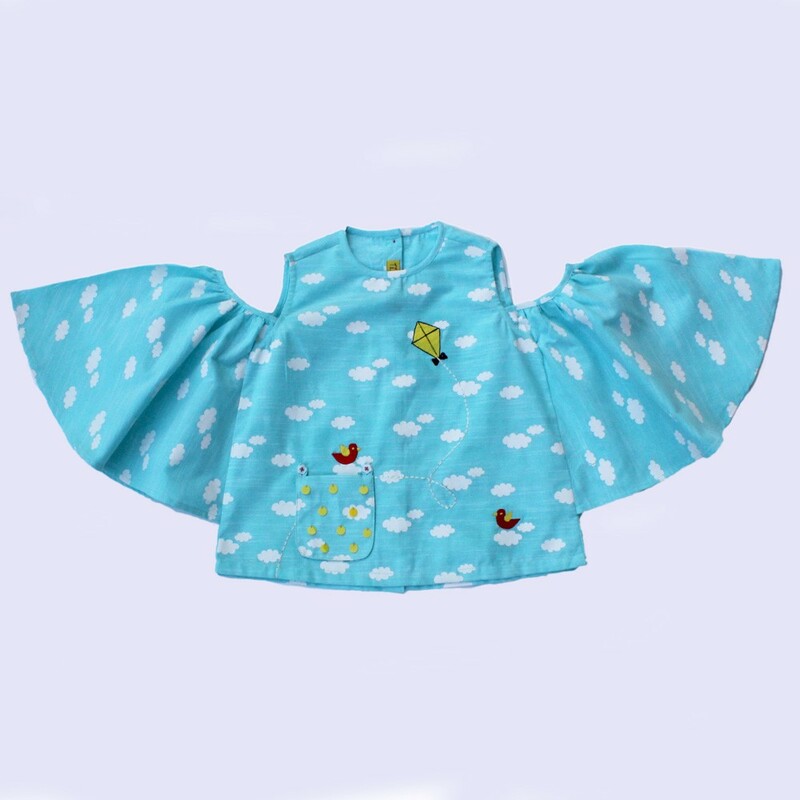 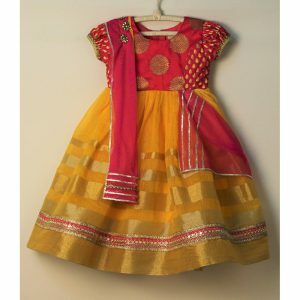 Peppy cloud print with playfully placed kite, birds and detachable pocket shall add to her fun. 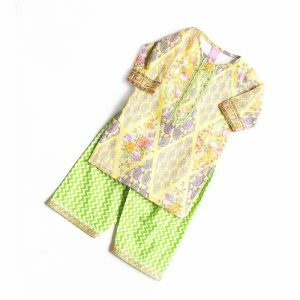 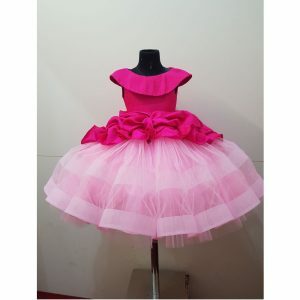 • 1 detachable sequined pocket.